Aspen Hotel is a four-star property celebrated mostly among families and couples (ideal for solo travellers too). 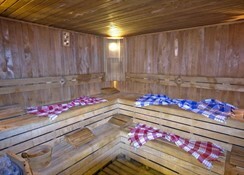 The location is very central, the hallmark of the property, and it offers hotels-only and half board accommodations. 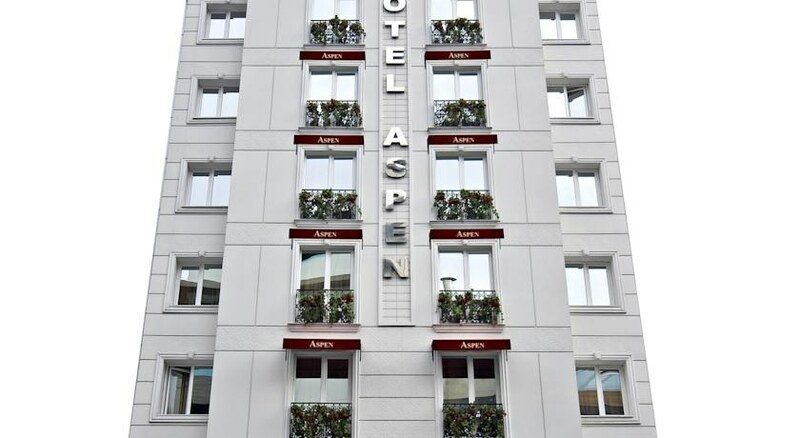 Aspen Hotel Istanbul is equipped with 63 modern guestrooms that are divided into Single Rooms, Double Rooms, Triple Rooms and Family Rooms. Common facilities across the rooms are air conditioning, TV with satellite, direct dial phone, mini bar, fireplace, mini work desk, safe deposit, private bathroom, hairdryer and bath amenities. 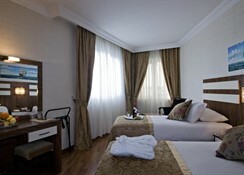 All the rooms are spacious and modern, designed in modern and Turkish style. Its main restaurant can host around 120 covers. It serves breakfast, lunch and dinner in buffet style, and in the spread are Turkish and selected international cuisines — it often hosts theme dinner too. In addition, there is a poolside bar and a snack bar that open round the clock — these bars serve both light bites, alcoholic and non-alcoholic drinks. Located on the 8th floor, there is an indoor swimming pool, a Jacuzzi, a vitamin bar and a sauna that open between 10 A.M. and 8 P.M. — it also offers Turkish bath. 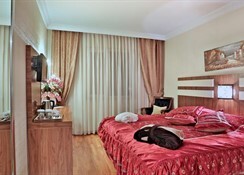 Centrally located in Aksaray, Istanbul, Aspen Hotel is situated only 1000 metres from the famous Grand Bazaar. 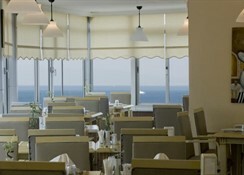 The hotel offers panoramic views of the Marmara Sea and the surrounding areas, especially from the rooftop. Places such as Topkapi Palace and Hagia Sophia are very close to the hotel — Yenikapi Ferryboat Jetty is also only 10 minutes on foot. 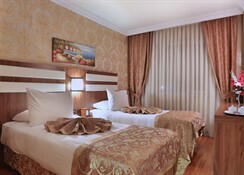 The place is well connected by buses and metro, so is the Ataturk Airport only 17 km from the hotel. And if you’re in a mood to explore the local cuisine, restaurants, cafes, bars and clubs are within 200 metres.